I didn’t plan my visit to Crows Nest very well, and my guidebook remained silent about the town’s single most interesting sight, the Carbethon Folk Museum. Given the dearth of other tourist-related activities, I can’t imagine why the guidebook didn’t mention it. 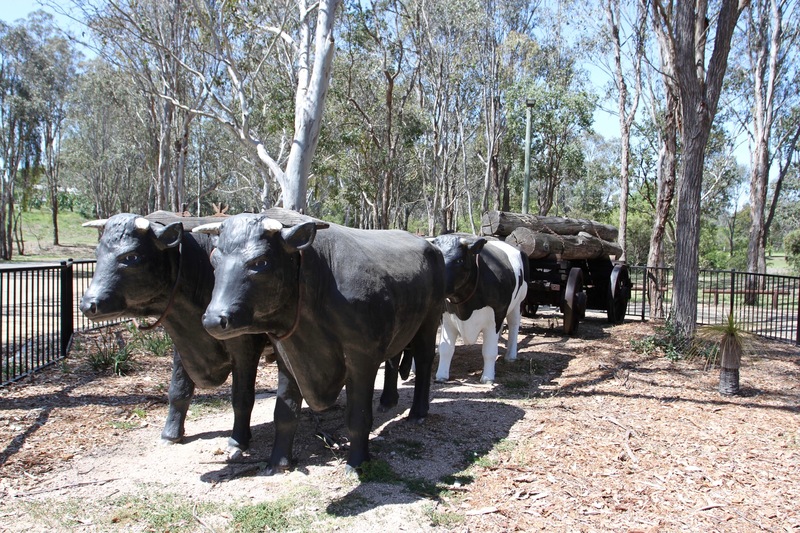 I only saw the museum because it was on my route out-of-town on the way to Hervey Bay. I did a u-turn and went to investigate. In a word, Carbethon Folk Museum is fantastic. 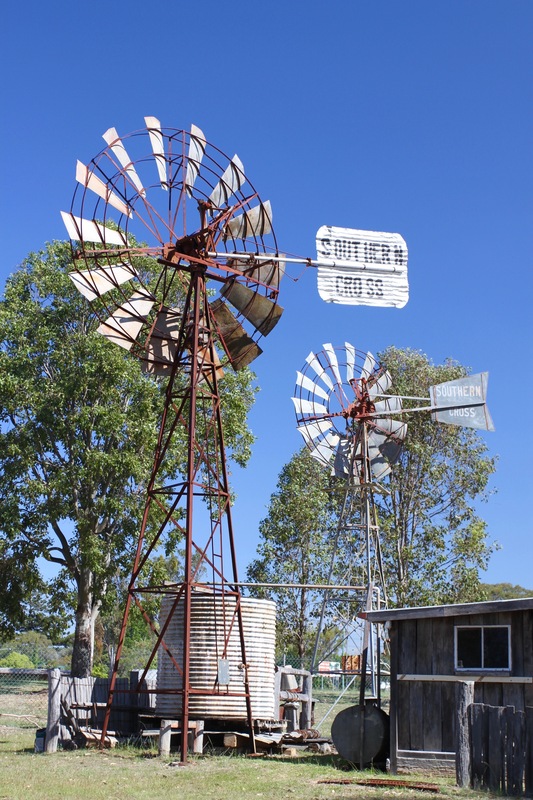 An authentic recreation of a historic Queensland town, filled with heritage buildings that have been brought together from across the region and fitted out with over 9,000 piece of machinery, memorabilia and artefacts. 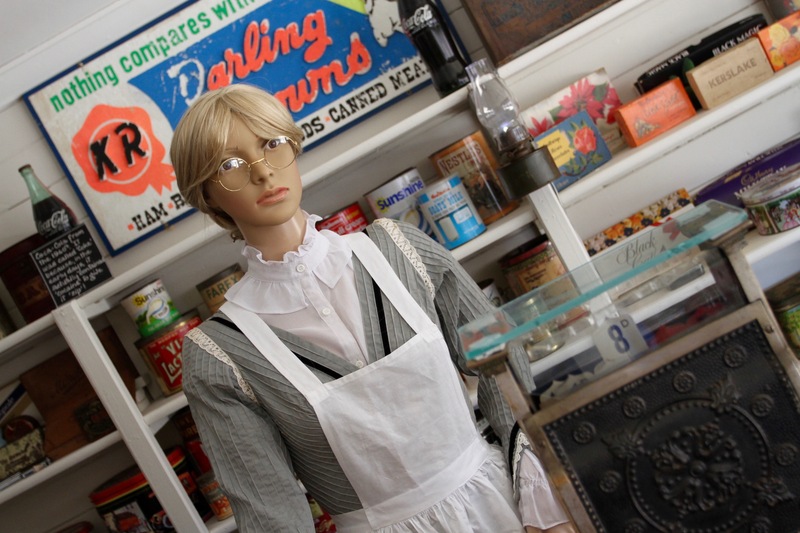 A lot of items inside the museum buildings have been donated by local families. It was the best $10 spent during my entire trip. 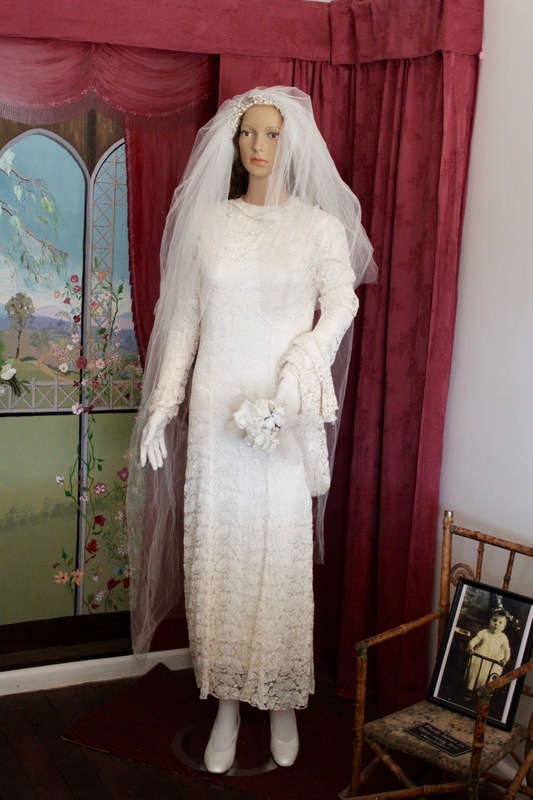 The museum is run by volunteers, who’ve done an amazing job of making it a fabulous experience. A shame then, that I was the only person there, although hardly surprising since they don’t seem to have a website. Luckily, it meant I could chat at length with one of the friendly and informative volunteers. It turned out that his daughter lives in the Netherlands. Something of a coincidence since only 2,000 people live in Crows Nest, and I’m a Brit living in the Netherlands. 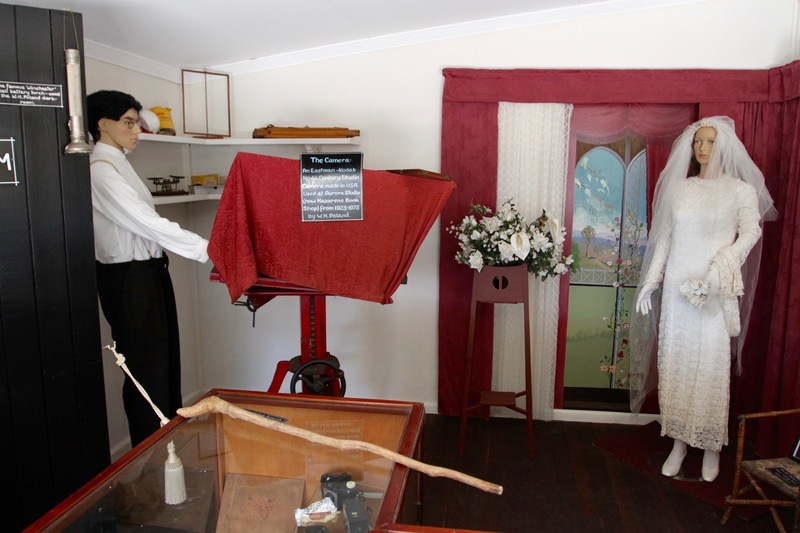 The centrepiece of the museum is the ‘Carbethon’, a traditional Queenslander home-constructed in the 1880s. 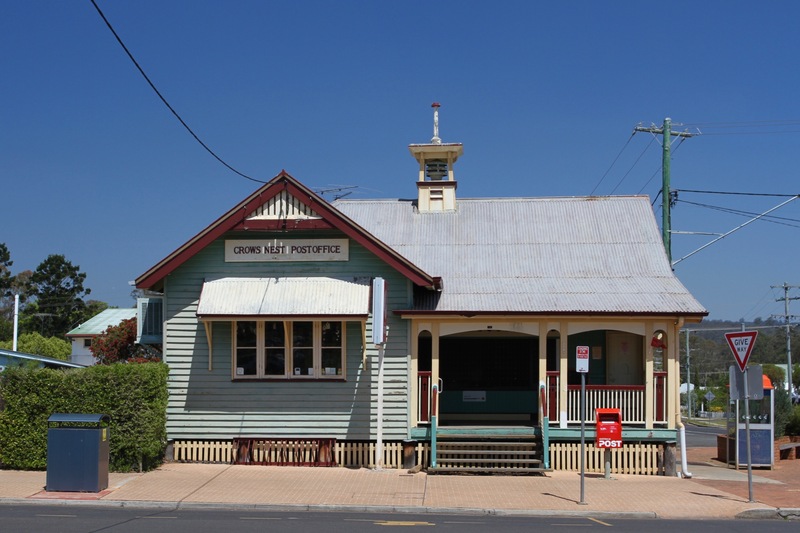 It was moved to Crows Nest in 1978, the year the museum opened, albeit on a much smaller scale than today’s museum. Inside this lovely building rooms are decorated in the style of the period, and there are hand written descriptions for almost all the memorabilia. 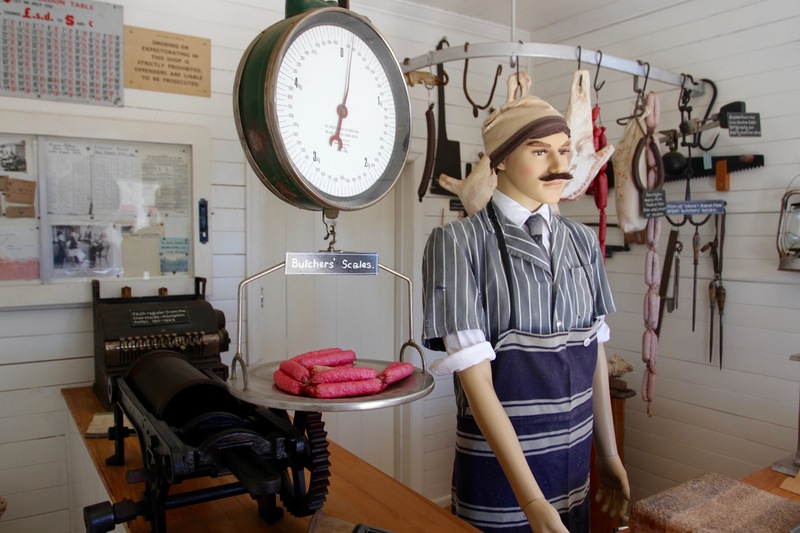 It’s a cornucopia of nostalgia and a fascinating insight into the lives of Queenslanders over the last 150 years. There were plenty of reminders of ‘home’, with household items that came from the UK or were decorated with Union flags. There was even a picture of Queen Elizabeth II with her young family. It was a strong reminder of the historic links between the two countries – a link that is slowly, and rightly, eroding. The displays about the men who left this distant part of the world to fight for Britain in the First World War, only to end up in the Hell of Suvla Bay or the bloodbath of Passchendaele, were particularly poignant. 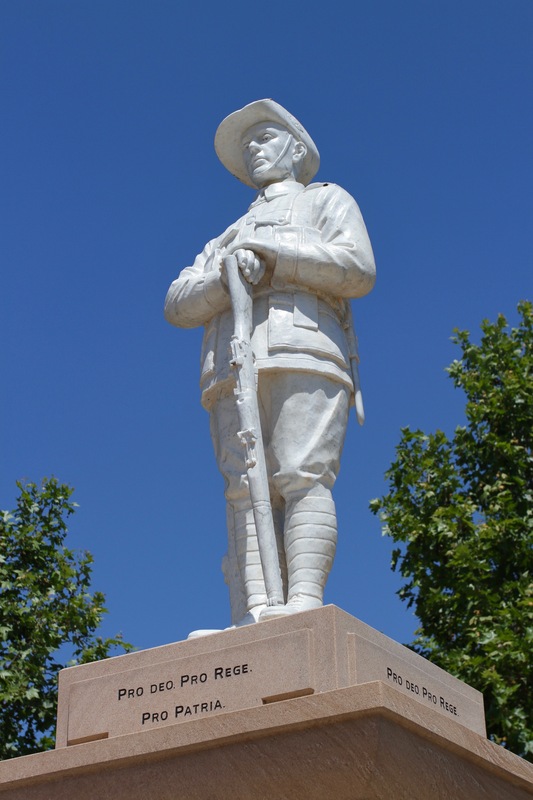 Nearly half a million Australian’s fought in the First World War, almost 10 percent of the population, and many never returned. It’s a history worth remembering. Stepping inside the buildings triggers an audio recording, which relates the history of that specific room. 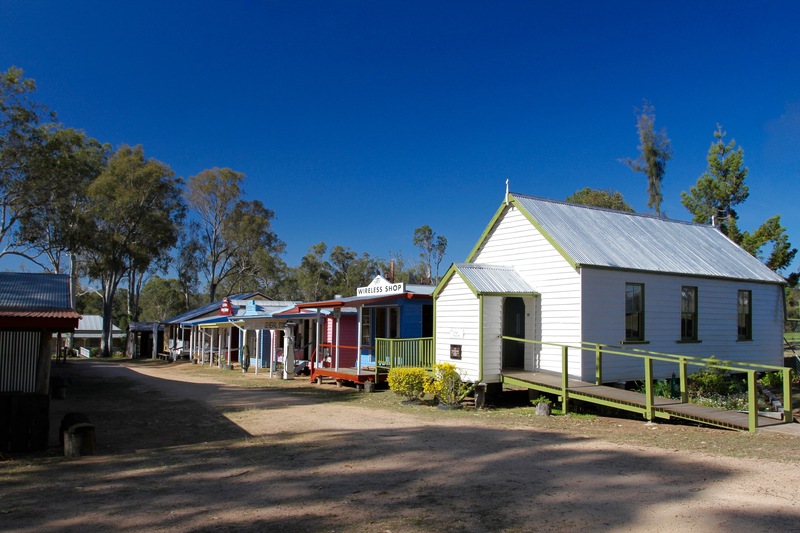 In a rundown shack at the start of the main street, a man lies in bed and his woeful lot in life is told as you enter; in the school room the teacher scolds the pupils; and, in the building called The Shed, the original office of Ray White, the narrator tells you the history of the man who founded Australia’s biggest real estate empire. 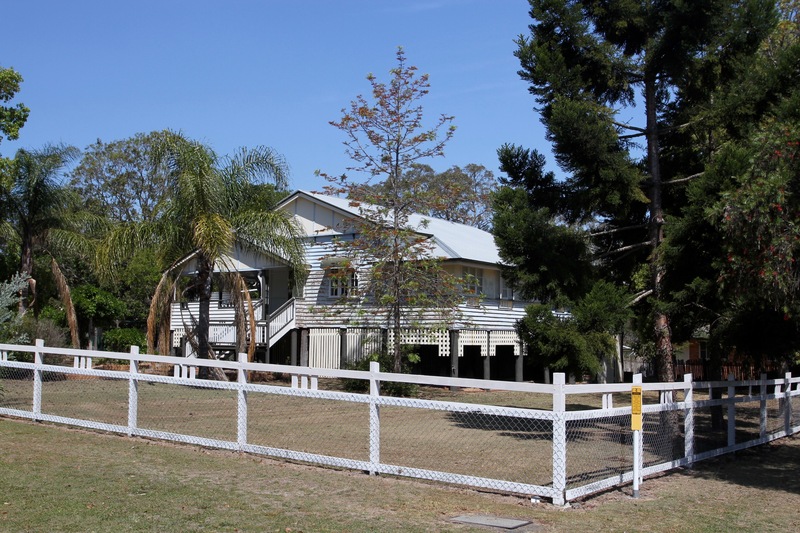 Nearby, and restored to its original condition, is the White Family home. 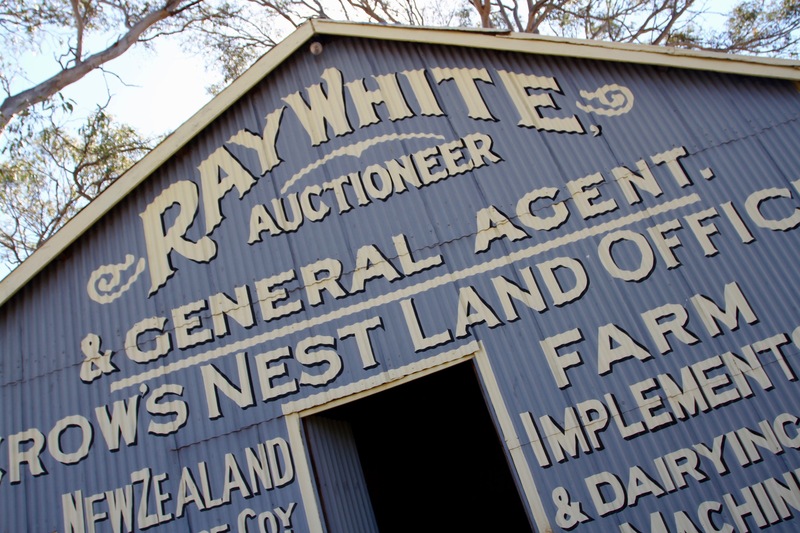 Ray White is a legend in Crows Nest, and famous across Australia and New Zealand. 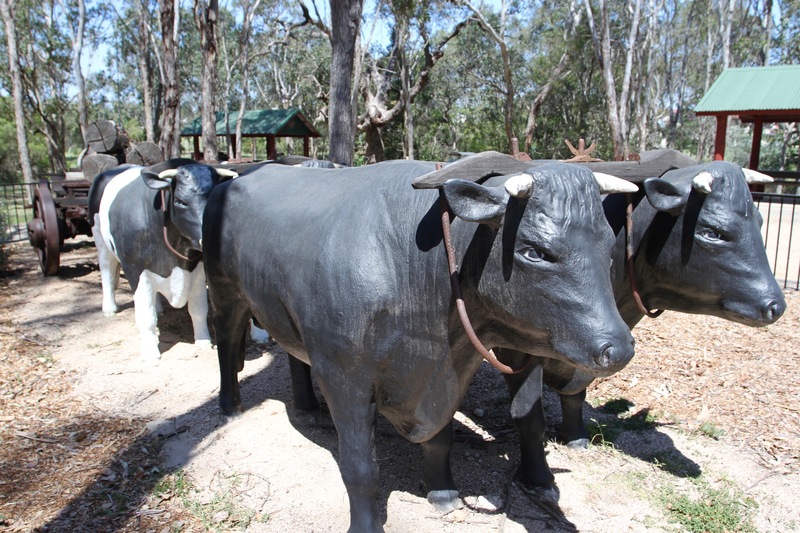 He started his first auctioneer business in The Shed and was soon very successful. But he was also a man of the people, remembered as much for his kindness to townsfolk who had hit upon hard times as for his business deals. I was so engrossed, I lost track of time. Instead of being half way to the ocean and a whale watching trip I’d booked, I was still looking around the various buildings. Eventually I made it out of the door and set off on the next leg of my journey. It was a long drive and I only arrived in Hervey Bay after dark. Sat with a cold beer at a pub, I reflected upon the day and decided Carbethon Folk Museum was worth the late arrival. 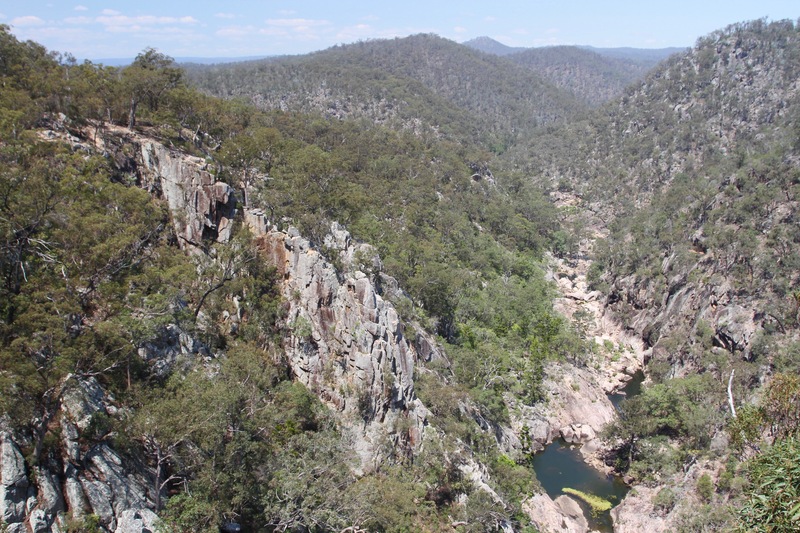 Nestling on the edge of the Great Dividing Range, Crows Nest National Park is a vast expanse of eucalypt forest filled with gorges enclosed by granite cliffs, boulder-strewn streams that become plunging waterfalls, and a wide variety of wildlife, which I heard but never saw. 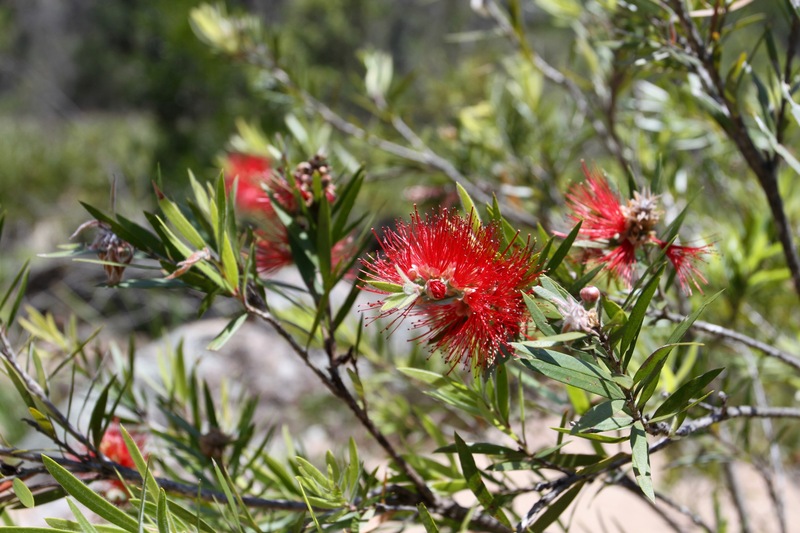 It’s an attractive place to hike, and there are about 5km of walking trails, but the thing that really got my attention was a name: the Valley of Diamonds. 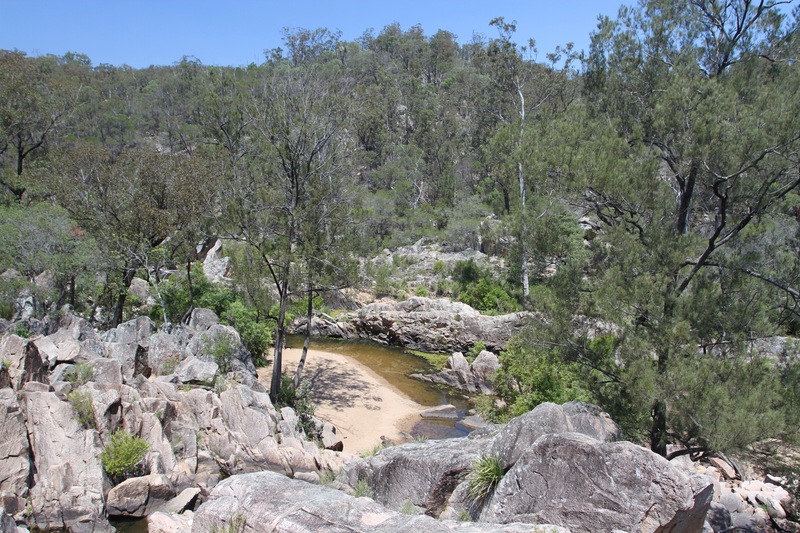 The trail to the viewing platform over the Valley of Diamonds took me along a river and past several pools. 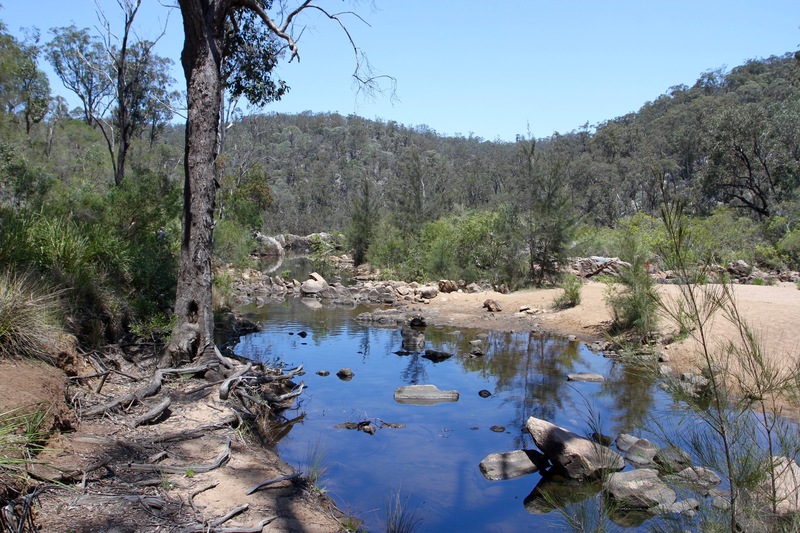 The water wasn’t running and it seemed a lot drier here than it had been in Girraween National Park, perhaps because Crows Nest is on the eastern side of the Great Dividing Range, while Girraween is on the western side. This at least made it easier to do some boulder scrambling along the river. 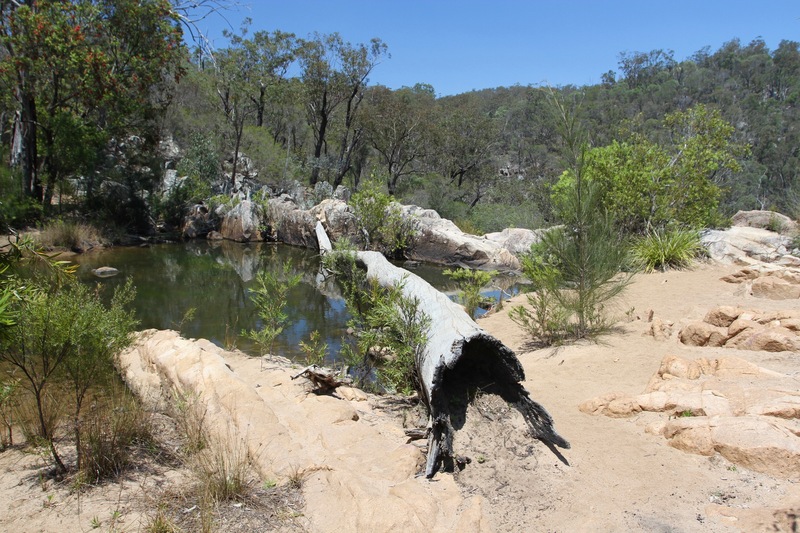 I passed families hanging out at Bottlebrush Pool and found my way to the viewing platform over the dramatic Crows Nest Falls. At least, they would have been dramatic if there’d been any water tumbling over them into the green pool below. There is a manmade viewing platform here, next to it is a tragic warning sign with a picture of a young man who fell and died here. A couple of kilometres further on I came to the Valley of Diamonds. 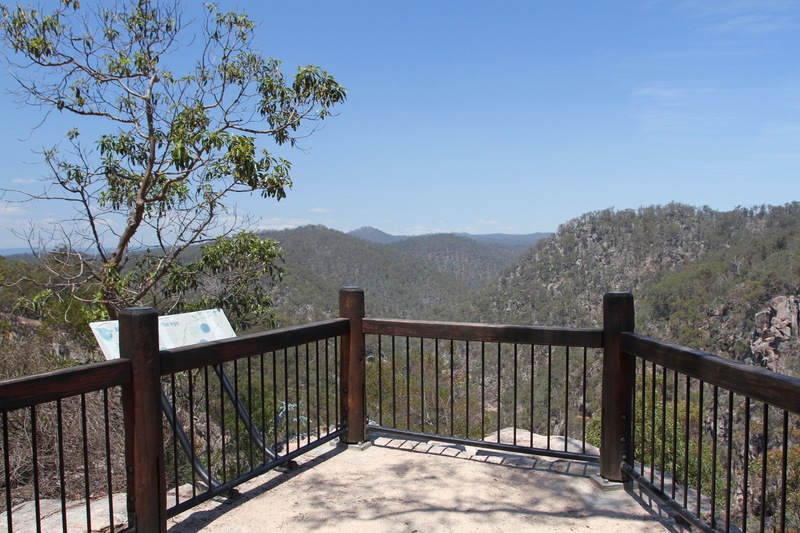 The lookout point offers sweeping vistas over the gorge below, which seems to stretch on for ever. 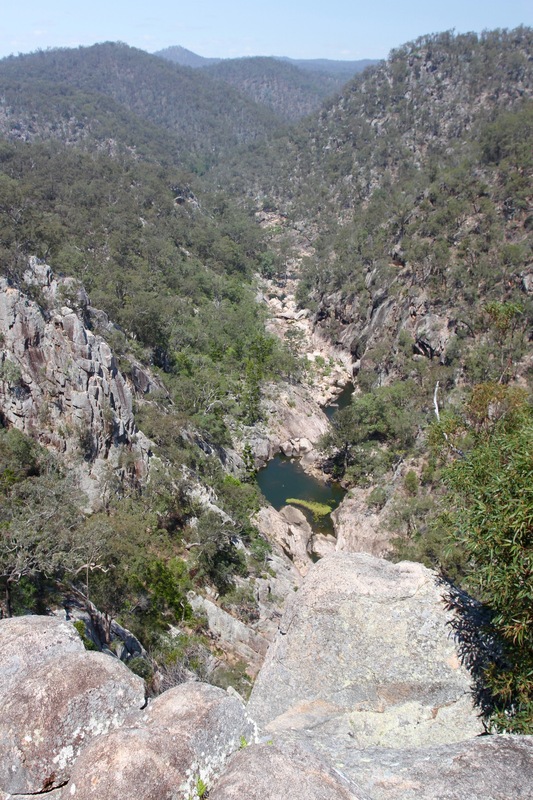 The Valley of Diamonds got its name not from the vast diamond deposits that lie in the valley but, rather disappointingly, because when the sun bounces off the granite cliffs they glint like diamonds. 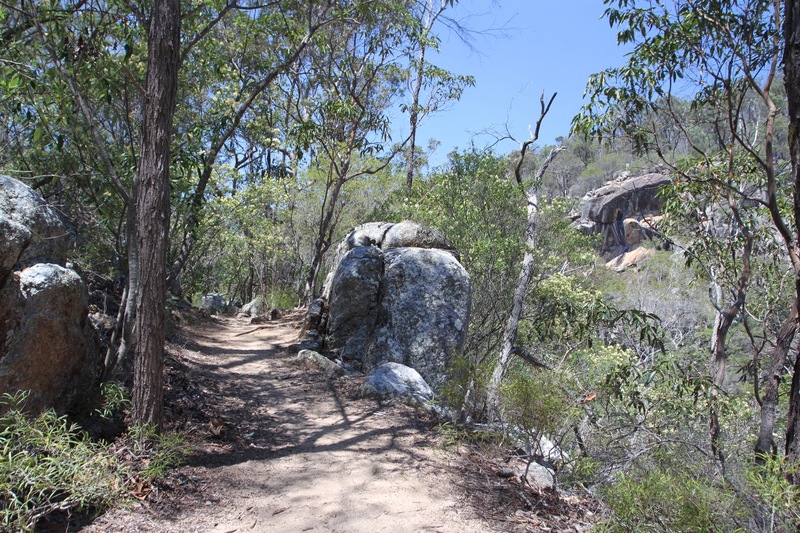 One of the highlights of the park are the brush-tailed rock-wallabies that live here, I was really hoping to see one. The best advice seemed to be to pick a spot, stay still and hope the wildlife would appear. 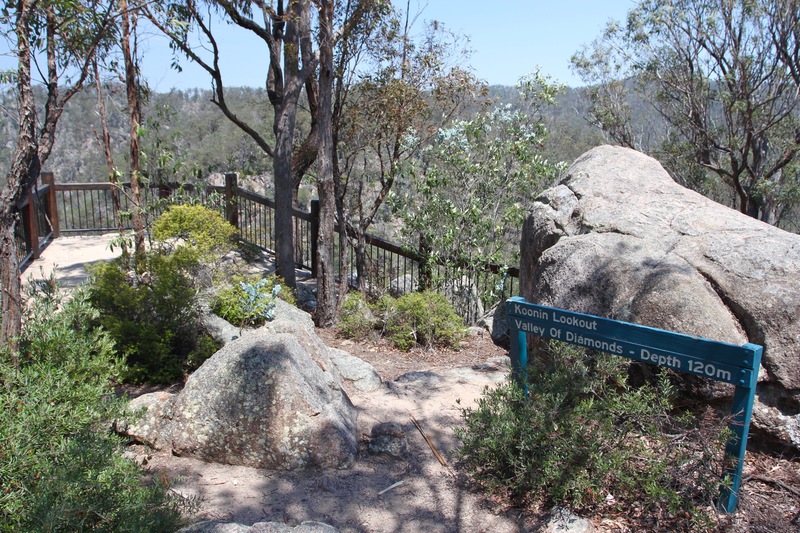 On my way out of the park, I stood silently at the viewing point overlooking Crows Nest Falls, and waited patiently to spot movement amongst the rocks. I waited, and then waited some more. It wasn’t to be. Apart from some noisy birds in the trees, all other animals were being elusive. I suspect there were too many people in the park for animals to venture into the open. 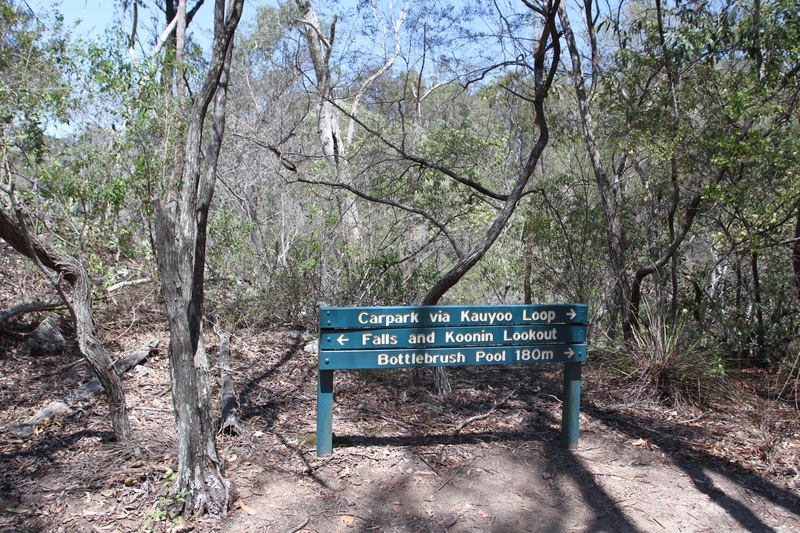 It’s a popular place for local people, and I met several families with young children enjoying a day out. At Bottlebrush Pool people were even swimming, which definitely reduces the chances of seeing one of the platypus that feed on crustaceans in these waters. I’ll be honest. I was going to be unkind about Crows Nest, but that would be unfair. In the time I spent here, people gave me the sort of looks normally reserved for strangers walking into saloons in American westerns. That was just off-putting, but as I strolled around the pleasant village green, taking photos, a man without shoes walked over to me and demanded to know what I was doing. I assured him I was a tourist, and that taking photos was the job of tourists. I’m not sure he believed me, but lacking any hard evidence of criminal intent, he just glared at me and walked off without another word. 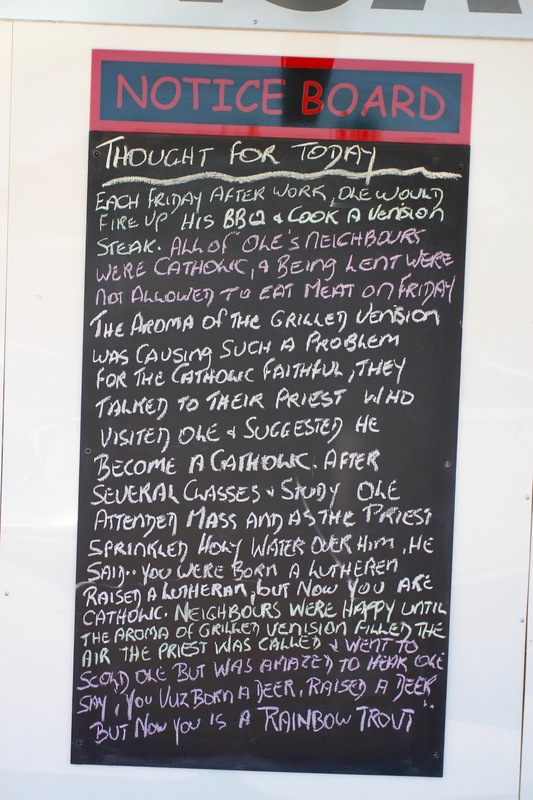 I’m from the countryside and understand the general distrust of the outsider, so I kept a low profile after that. Luckily, Crows Nest more than compensated for this unusual encounter. 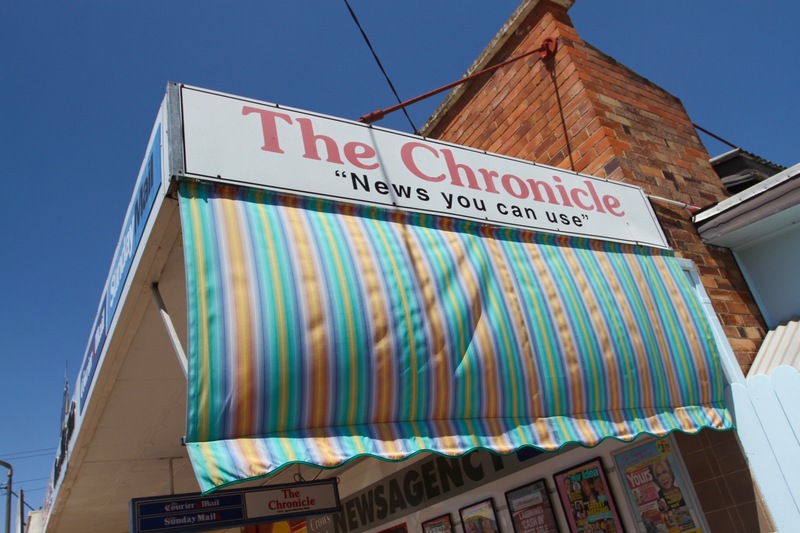 I was on my way to Hervey Bay, and only stopped in the town because I’d read that it was famous for a worm racing festival. Yes, they race worms in Crows Nest. I’d missed the festival, but I still wanted to have a look around and see the place that hosts a worm racing festival. I mean, who wouldn’t? 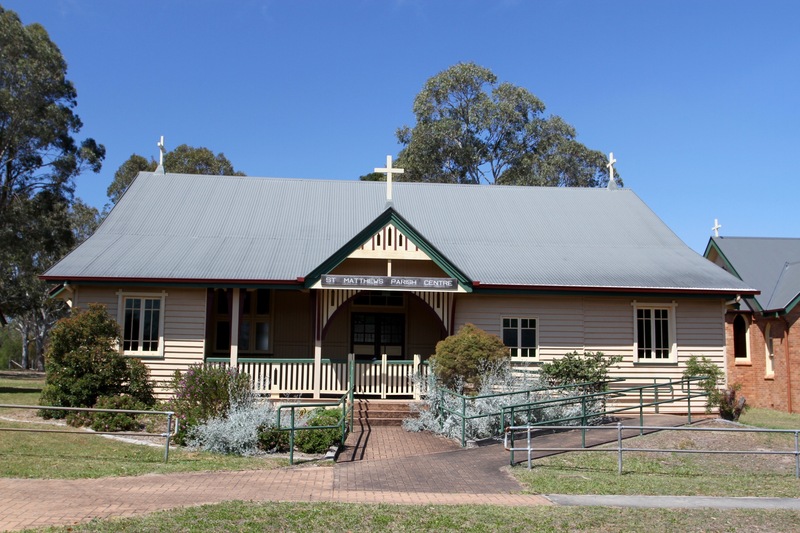 The history of the town, is the history of the opening up and settling of the Australian hinterland by Europeans. 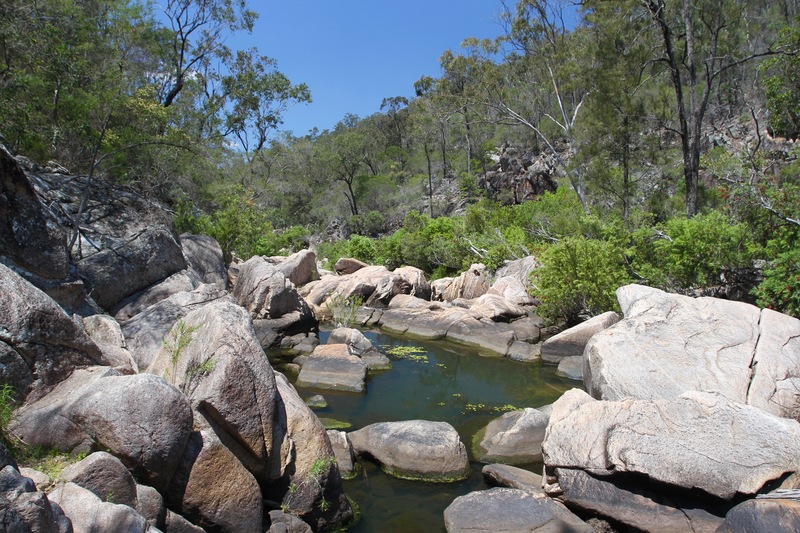 The area was inhabited by the Dungibara Aboriginal group for millennia before the 19th century arrival of bullock teams, who camped here while hauling timber from nearby forests to the coast. 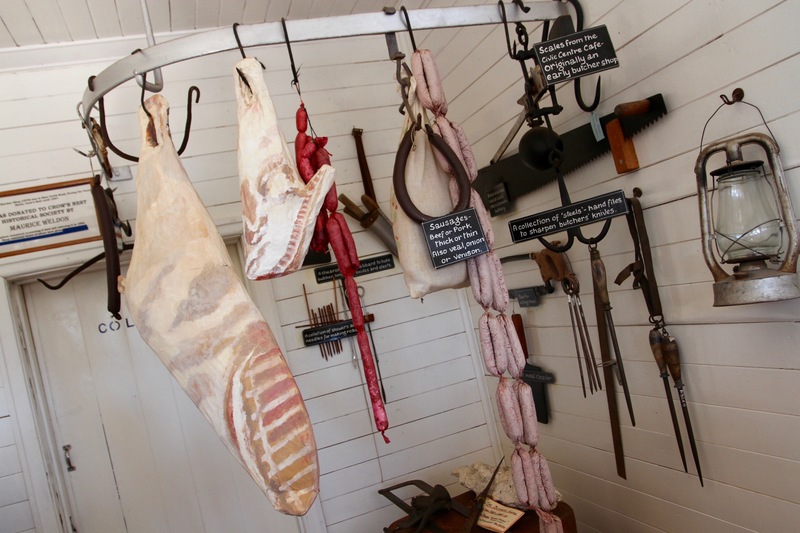 The first family of settlers arrived in 1849, but their farm failed. 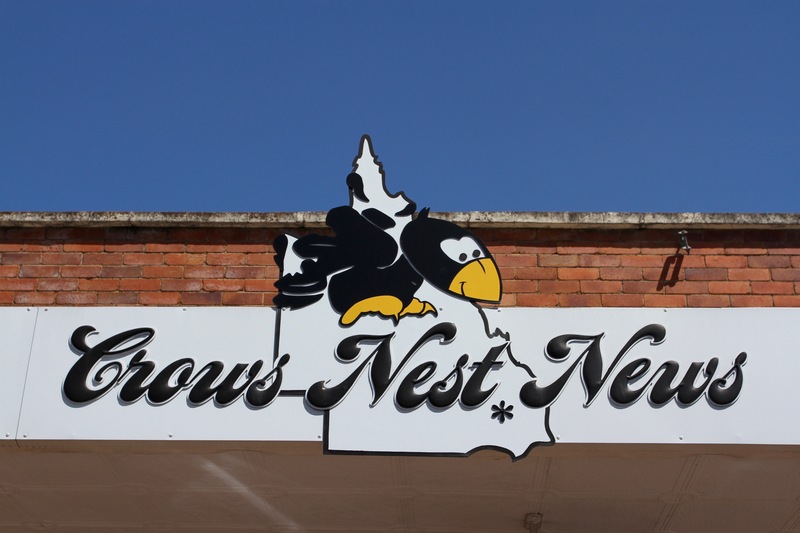 It wasn’t until 1876 that Crows Nest officially became a town. I say a town, in reality the 1881 census recorded only 35 inhabitants. Despite that, a decade later the railway arrived; by 1901 there were perhaps 500 people living in the area. There are only around 2,000 people today, 135 years after its founding. 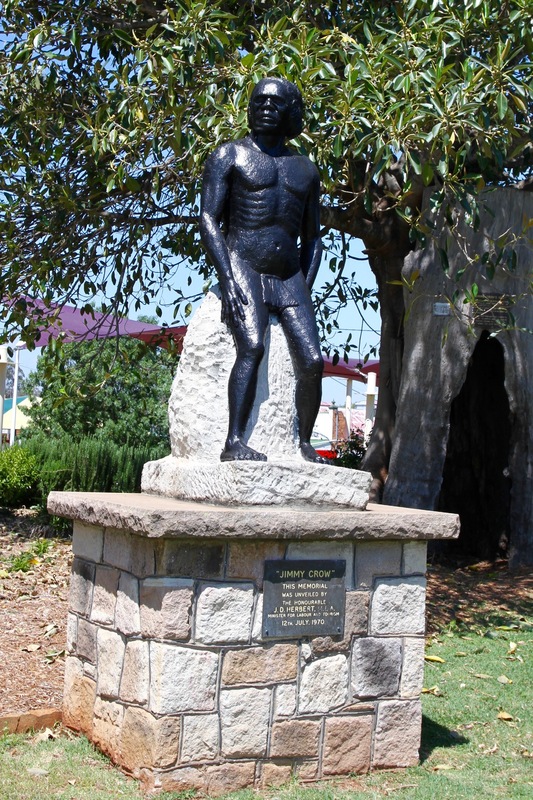 It’s rumoured to be the only Australian town to be named after an Aboriginal person, albeit one who was given an anglicised name: Jimmy Crow. There’s a statue of Jimmy Crow on the village green, next to a hollowed out tree. 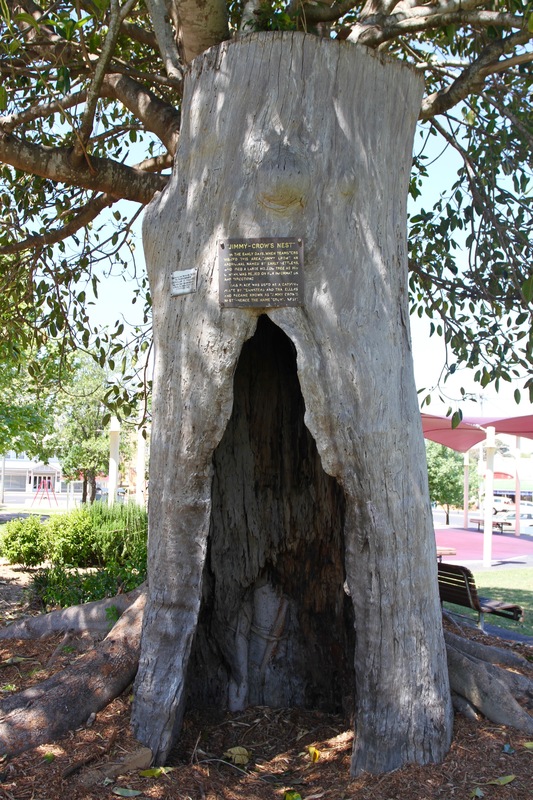 Legend has it that Jimmy lived in the tree and offered help and information to the teamsters and settlers. 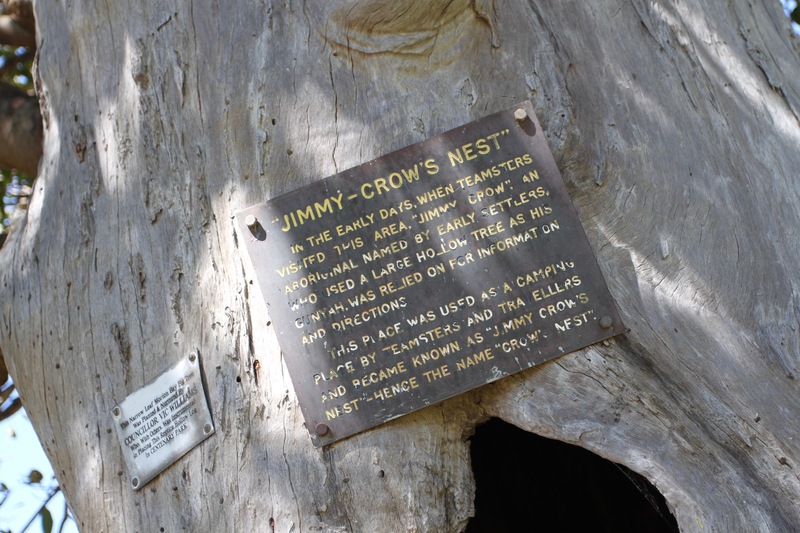 It was they who named him Jimmy Crow, and he’s the reason the town is named Crows Nest. 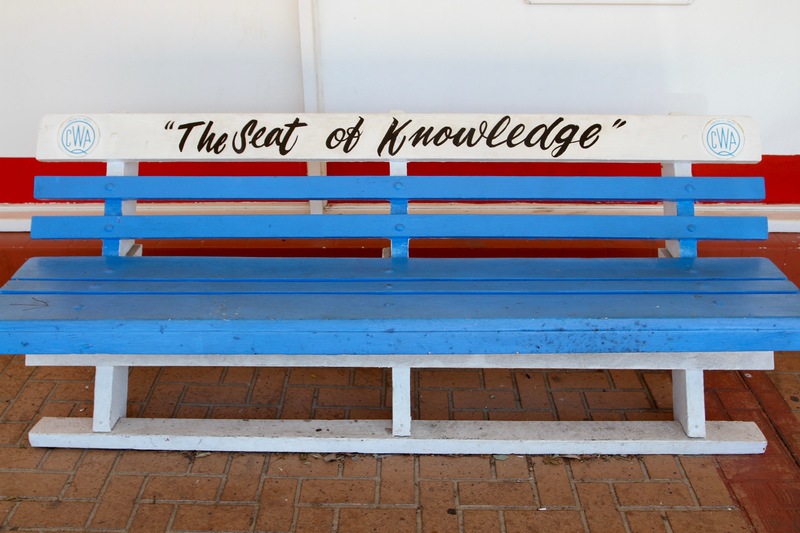 An alternative theory is that it got its name from the original Aboriginal name for the area, Tookoogandanna, or “home of crows”. 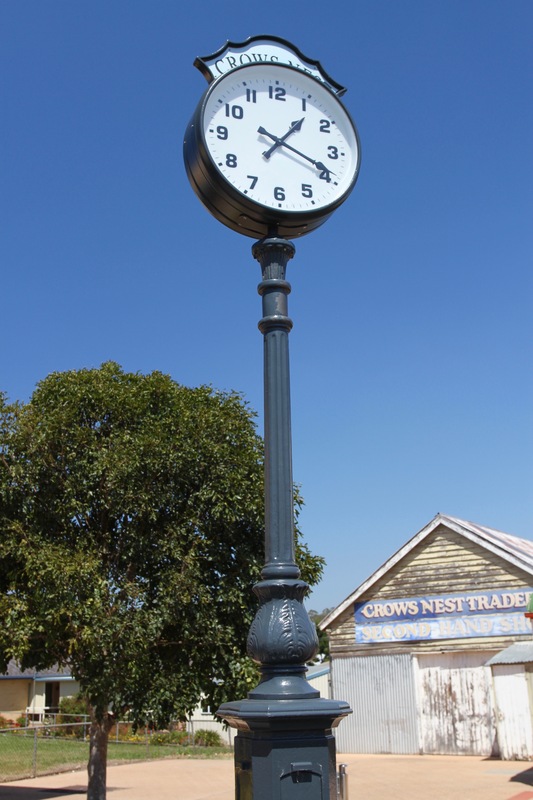 There’s a heritage trail in Crows Nest, or at least the information board on the village green said there was. The library and art gallery where I should have been able to get information and a map, were both closed. I set off and wandered around for an hour or so. As luck would have it, I happened upon the site where the bullock teams used to camp, complete with a splendid bullock team memorial. 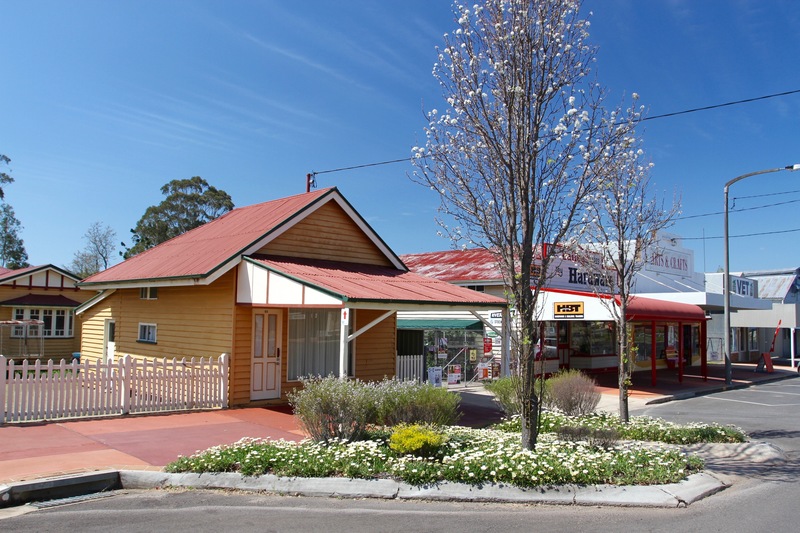 I saw a little of the town’s pleasant streets and traditional wooden ‘Queenslander’ houses, before making my way back to the village green. 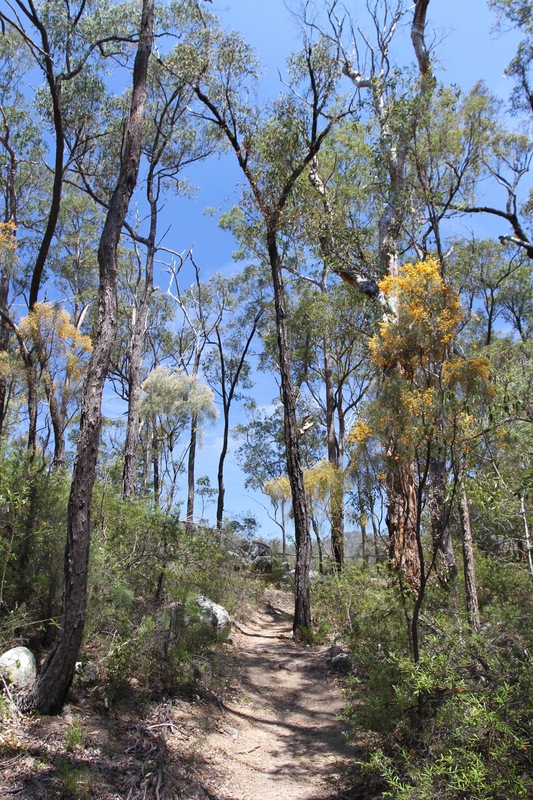 After picking up a few things in the local supermarket, I headed 6km east to do a hike through the eucalypt forests in Crows Nest National Park.